A Madera man is dead after an accident Friday afternoon in Clearfield County. Police say a car driven by 64-year-old Larry Henry went out of control on Route 453 in Gulich Township and hit a tree. He was pronounced dead at the scene. Police say Henry was not wearing a seat belt. Coudersport state police are warning residents of an e-mail scam. In a fax sent to WESB and The HERO, they say an e-mail saying it’s from the Internal Revenue Service is being sent out asking that people submit their personal and bank account information in order to receive a refund. Police are advising people to not reply to the e-mail. Following an upgrade of our computer systems and review or our records we have investigated your payments and latest tax returns over the past years, our calculations show you have made over payments of 326.75. Due to the high volume of refunds you must complete the online application, the telephone help line is unable to assist with this application. In order to process your refund you will need to complete the attached application form. Your refund may take up to 6 weeks to process, please make sure you complete the form correctly. A Coudersport man is accused of harassing a woman and a teenager in separate incidents on April 11. In faxes sent to WESB and The HERO, state police say at between 3 and 3:15 p.m. 40-year-old Shane Bailey harassed a 44-year-old woman who, along with her husband, was giving him a ride home. The woman tells police she was riding in the backseat and Bailey was in the front seat as they were traveling on Route 449 in Genesee. She says Bailey reached back and rubbed her leg four times after being asked to stop. 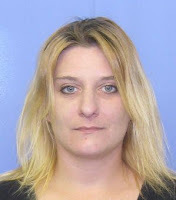 At about 4:30 p.m. on Haskell Road in Allegany Township, Bailey is accused of getting into an argument with a 16-year-old boy, grabbing him by the shoulder, pushing him, threatening to punch him through a wall and threatening other physical violence. COUDERSPORT – Police are investigating a hunting camp break-in on Baker Hollow Road in Roulette Township. Police say sometime between September 30 and Friday morning someone removed a black 8HP, 4000-watt generator Homelite LR4400 portable 4 kw model: 197412 with a cracked engine cover valued at $400. A 15-year-old boy from Harrison Valley is accused of hitting a 19-year-old man from Westfield in the face while they were on a Northern Potter High School bus at 3:10 p .m. Thursday. Police cited the 15-year-old for harassment. A 19-year-old Coudersport man has been cited for underage drinking. Police say Ross Lent was a passenger in a vehicle that was pulled over during a traffic stop at 12:54 a.m. Friday. A 28-year-old woman is accused of threatening a 35-year-old man by telephone at 12:35 a.m. on April 6 at a residence in Eulalia Township. Police say a harassment charge is pending. Secretary of the Navy Ray Mabus announced the selection of the USS John P. Murtha as the name of the 10th San Antonio class Amphibious Transport Dock ship. Mabus made the announcement at John P. Murtha Johnstown-Cambria County airport in Johnstown, Pa. The USS John P. Murtha honors the late U.S. representative and Marine who dedicated his life to serving his country. Murtha served a distinguished 37 years in the Marine Corps and received the Bronze Star with Combat “V,” two Purple Hearts and the Vietnamese Cross of Gallantry for his service in the Vietnam War, retiring as a colonel in 1990. In his public life, Murtha served the people of Pennsylvania’s 12th Congressional District from 1974 until his death in 2010. In his position as the chairman of the House Appropriations Subcommittee on Defense, he oversaw funding issues for the Department of Defense, including the Air Force, Army, Marine Corps, Navy and the intelligence community. Stefan Arlington has the latest from the Bills, Steelers and Browns. Listen here. 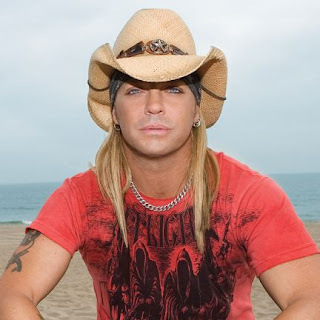 (PEOPLE.com) -- Bret Michaels's health has taken a turn for the worse, PEOPLE has learned: After an excruciating headache late Thursday night, the star was rushed to an undisclosed hospital where doctors discovered he suffered a massive subarachnoid hemorrhage (bleeding at the base of his brain stem), according to a source close to the situation. The event will consist of litter pick up in Main Street Historic District and Project Pride Elm Street Neighborhood. Sponsored by Bradford Main Street Program/Elm Street Project. After holding meetings at various levels within the organization and with community members, the Board of Directors of the McKean-Potter Counties American Red Cross has decided to make a temporary change to the Meals on Wheels program. Starting May 1st, Meals on Wheels in the Bradford area will be delivered on Mondays, Wednesdays and Fridays. Meals will still be available for all 7 days of the week; however Tuesday meals will be delivered on Mondays and Thursday meals will be delivered on Wednesdays. Weekend meals will still be delivered on Fridays as is the current policy. Three St. Bonaventure University biology students have been selected as the Dr. Arnold T. Borer Summer Research Scholars for 2010. Tiffany Barkley, Kirsten Norrell and Andrew Nguyen will spend 10 weeks of the summer working on various research projects under the advisement of three university biology professors. Barkley, a third-year biology major and political science minor from Mansfield, Texas, will focus on the development of mammary glands in mice. Barkley will be characterizing changes of the mammary gland due to the loss of connective tissue growth factor (CTGF). CTGF is a protein that is essential for the growth of new blood vessels. Barkley will study in the laboratory of Dr. Julie Hens. Barkley will attend LECOM Medical School in 2011 and hopes to one day work in politics. An 88-year-old Falconer, New York, woman is hospitalized after an accident at just before 3 o’clock this afternoon. In an e-mail sent to WESB and The HERO, Chautauqua County Sheriff’s deputies say Verlie Woodruff was traveling on Peck-Settlement Road when her car left the road and went into a ditch, hit a driveway culvert, went airborne, went back onto the road, crossed both lanes and ended up on the shoulder of the road. Woodruff was removed from the car by EMS personnel and taken by Starflight to Hamot Medical Center in Erie. Deputies say a medical condition may have been a contributing factor in the accident. The University of Pittsburgh at Bradford Admissions Office will hold a May 7 information session for prospective students and their families. First Friday, a visitors’ program that allows prospective students to have a group visit on campus during the week, begins at 10 a.m. The program includes a presentation by the admissions office, a campus tour with a student ambassador and lunch in the KOA Dining Hall. Appointments for First Friday are preferred, but not required. For more information or to make an appointment, contact the admissions office at (814) 362-7555 or (800) 872-1787 or visit www.upb.pitt.edu/visit.aspx. For disability-related needs, contact the Office of Disability Resources and Services at (814) 362-7609 or arj4@pitt.edu. 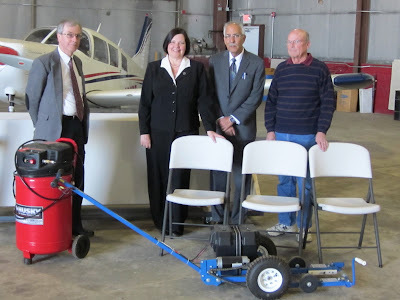 OLEAN – Fred Fowler and Bernard Morris of the Airport Support Group (ASG) presented Olean Mayor Linda Witte and Director of DPW Ashok Kapoor seating for eighty persons and ten tables for use during events at Cattaraugus/Olean Airport. This latest donation brings to over $13,000 of equipment provided by ASG for use at the airport. Previous donations have included new reception area and meeting room furniture, air compressor, an aircraft tug, personal computer, and garage doors. Funds for these purchases were raised by ASG with the invaluable assistance of The Rally in the Valley. Comprised of airport tenants and other users, the Cattaraugus/Olean Airport Support Group exists to promote the use, maintenance and improvement of Cattaraugus/Olean Airport, a community asset and economic development tool for Olean and Cattaraugus County. In recognition of Safe Kids Week, the University of Pittsburgh Bradford’s Athletic Training Department, Safe Kids McKean and Northwest Savings Bank are partnering to sponsor a Youth Injury Prevention and Little League Safety Workshop for Bradford Regional Little League coaches and any other little league coaches with teams in McKean County. The Pitt Bradford Athletic Department, led by trainers Jason Honeck, Angela Honeck, John Eaton, and senior student athletic trainers, will provide coaches and assistants with information on preventing and treating common sports injuries, basic first aide, sun safety, lightning safety, and the importance of proper hydration for players. This free workshop will be held on Wednesday, April 28, from 5:30pm to 7:30pm at the Pitt Bradford Sport and Fitness Center and includes dinner for all participants. HARRISBURG – A rising level of anti-Semitism on college campuses across the country led state Sen. Anthony Hardy Williams to offer a resolution on Wednesday condemning such conduct and calling on colleges and universities across Pennsylvania to stand guard against it. Williams, a member of the Education Committee in the state Senate, sponsored Senate Resolution 315, calling for the state Department of Education, the State System of Higher Education and each college and university in the Pennsylvania to work to prevent such conduct from happening locally. State Sens. Andrew E. Dinniman, Michael J. Stack and Joseph B. Scarnati co-sponsored the Williams resolution. HARRISBURG — Eighteen suspects, who allegedly participated in a prescription forgery ring that operated throughout southwestern Pennsylvania, were charged today by the Attorney General’s Office and Pennsylvania State Police. Attorney General Tom Corbett said the 10-month joint investigation, known as “Operation Cracked Scripts” focused on Barbara Dodson, a Washington County woman who was the ring leader of the half million dollar ring. Corbett said that Dodson and at least 17 co-conspirators obtained thousands of Oxycodone pills, using forged prescriptions, from at least 17 pharmacies in Fayette, Westmoreland, Allegheny, and Washington counties. “We believe this organization was responsible for illegally obtaining approximately 250,000 milligrams of Oxycodone with an estimated street-value of more than $500,000,” Corbett said. Someone stole a John Deere riding lawn mower that was supposed to be raffled off Sunday during a benefit for a man who’s battling cancer. State police in Warren say the mower, which was donated by Zahm and Matson of Falconer, was stolen from a parking lot in Sugar Grove Tuesday or Wednesday. The benefit is for Mike Chapman of Warren, who is recovering from a surgery that removed a cancerous tumor from the base of his spine and a rare combination of three types of testicular cancer. The benefit is from noon to 4 p.m. Sunday at the Sugar Grove AmVets. The John Deere was supposed to be among several vehicles donated by local dealerships, all of which will be auctioned off during the spaghetti dinner benefit. WILLIAMSPORT -- The Department of Environmental Protection has fined Stallion Oilfield Services of Canonsburg $6,500 for operating a transfer station without a permit last year at its facility in Old Lycoming Township, Lycoming County. The financial penalty represents DEP’s latest enforcement action against Stallion. It previously issued a notice of violation to the company in June 2009, which prompted the company to stop operating its transfer station. A Fredonia man who’s been missing since Sunday has been found, unharmed, near Erie. 19-year-old Robert Raynor left his Fredonia home late Sunday afternoon, and no one had heard from him since then. Someone who had seen his photo in the media spotted him at about 8 o’clock this morning, and his parents went to pick him up. Family members say Raynor has been diagnosed with schizophrenia. PITTSBURGH – Steeler Country is now home to the Eagles! 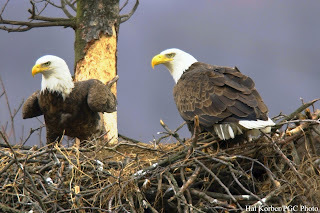 No, not the cross-Commonwealth rival Philadelphia Eagles; a pair of American bald eagles. A Cattaraugus County woman is facing charges and a Chautauqua County man is in jail following an incident late Wednesday night at the woman’s home. In an e-mail to WESB and The HERO, Cattaraugus County Sheriff’s deputies say they went to the Dayton, New York, home of Amanda Wisiorek looking for Travis Eaton. She told them he wasn’t there, and when they asked the name of the man who was inside her house, she gave them a false name. When deputies asked for proof of the man’s identity, he left the house through a back window. After a brief foot case the man, who actually was Travis Eaton, was taken into custody on a violation of probation warrant issued by Persia Town Court, and sent to jail. Wisiorek has been charged with obstructing governmental administration. Motorists are reminded that roadway-resurfacing work is set to start Monday, April 26 along the “Bootjack” section of Route 219, south of Ridgway. Weather permitting, Phase 1of the project will begin Monday. The first phase of the job will stretch from the Royal Drive-in to the truck bypass. PennDOT expects Phase 1 work to be complete in mid-May. Drivers can expect changing traffic patterns through the work zone, with flaggers in place. All work is currently scheduled to take place during daylight hours Monday through Friday. Phase 2 of the project will stretch north from the truck bypass to the intersection of Main and Depot Streets. Phase 2 will feature a traffic detour and PennDOT will provide a project update close to the beginning of that phase. The Health Minute from Johns Hopkins is about preventing prostate cancer. Foodie News centers on Jamie Oliver’s food revolution. The National Lampoon Sports Minute (Or So) covers Stephen Strasburg, Carlos Zambrano, Rick Mahorn, USA Swimming. Outdoors PA with the Pennsylvania Game Commission concludes a series about spring gobbler season. We’ll also have the latest stock report and the community calendar, plus the very latest local news and sports, state news from RadioPA, national and international news from CNN, NFL Today and the forecast from News 4 Meteorologist Mike Cejka. Listen at 1490 AM WESB, or live online at WESB.com starting at noon. The American Cancer Society's annual Barstool Open is from noon to 6 p.m. on Saturday It's $60 for a four-person team. 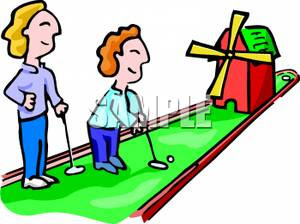 Lots of prizes are up for grabs including lowest score, highest score and best-dressed. You can buy 50/50 tickets at any of the participating bars, who will have food and drink specials all day. Relay for Life teams will also have raffles for a vareity of items. Fran Stewart of the Cancer Society was on The Morning Buzz today. Listen here. Start your day with America's Sweetheart, Scott Douglas, and his trusty sidekick Frank Williams. They deliver news at the top and bottom of every hour and update you on sports at :15 and :45. They also have weather from News 4 Meteorologist Mike Cejka. The McKean-Potter Counties American Red Cross is proud to announce that Robert Gault reached the 7 gallons mark during Tuesday’s blood drive at the Church of the Nazarene. “Reaching a donation mark like Mr. Gault has done is quite a feat and is a tribute to the life-saving mission that blood donation makes possible,” said Jason Bange, executive director. “It takes a lot of dedication and time, not to mention a lot of blood, to reach such a level and we greatly appreciate Mr. Gault’s support, as well as the support of all our donors." Details regarding future blood drives can be found online at the chapter’s website at www.mparc.org, or by calling the office. One of the St. Bonaventure University’s most accomplished graduates will give the keynote address Sunday, May 16, at St. Bonaventure University’s 150th Commencement Exercises. Deb Henretta, SBU class of 1983 and group president for Procter & Gamble Asia, will also receive an honorary doctorate of humane letters. Henretta, who graduated from SBU’s renowned Jandoli School of Journalism and Mass Communication, heads Procter & Gamble’s $14 billion retail business in Asia, including on-the-ground operations in 14 major markets and another 22 countries through distributor operations. She is responsible for P&G’s Asia portfolio that touches close to 2 billion consumers. The Lighter Side on Mechanic Street in Bradford has been cited for a liquor law violation. In a fax sent to WESB and The HERO, state police say on March 25 an employee of the bar gave alcohol to a visibly intoxicated man. The charges will be brought before an administrative law judge. The National Police Bloodhound Association will return to Allegany State Park for weeklong training in the Red House Area Sunday through Thursday. This will be the 11th year the event has been hosted by the Cattaraugus County Sheriff’s Office. Members of law enforcement and the public can attend events from 11:30 a. m. to 2:30 p. m. April 28. Olean General Hospital has begun a significant renovation project in the fourth-floor Obstetrical Unit and Nursery to make mothers and newborn babies more comfortable, and allow staff to perform their clinical duties with greater efficiency. For many families the Obstetrical Unit and Nursery is their first experience at Olean General Hospital. Although patient satisfaction scores are at 99 percent, it’s become time to update the unit that was last renovated in 1991. Since then, nearly 15,000 babies have been born in the unit, said hospital officials. “The renovation is needed because during a high census period our nursery space is not adequate. Our patient volumes have increased dramatically over the past five years. Sometimes it’s been difficult to complete special testing procedures in the nursery due to lack of space,” said Mary Beyth, RN, Nurse Manager for the Obstetrical Unit and Nursery. Harrisburg – A road use permit issued to J-W Operating Company for moving its drilling trucks and other equipment over State Route 3001 in Cameron County was revoked because of the company’s failure to deal with severe damage to the roadway, Transportation Secretary Allen D. Biehler, P.E., announced today. J-W Operating was granted a permit to put heavy trucks and equipment on the road, known locally as Moore Hill Road in Shippen township. The road normally has a 10-ton weight restriction, and J-W’s permit carried the understanding the company would be responsible for repairs. Spending on New York road construction projects that have direct state financing will continue to be frozen under an emergency plan submitted today by Governor David Paterson. The plan, which runs through May 1, does allow more than 300 projects financed with federal and/or local money to proceed. The Legislature has approved three temporary spending plans since April 1 to keep government running until they pass a budget for the 2010-2011 fiscal year. The plans have not included money to reimburse contractors working on more than 500 highway projects across the state. New York Attorney General Andrew Cuomo issued a subpoena to the State Senate this afternoon, asking for employee records connected to an ongoing investigation into Senate Majority Leader Pedro Espada Jr. The subpoena is part of Cuomo's ongoing investigation into allegations that Espada siphoned more than $14 million from his Bronx based non-profit Soundview Healthcare Clinic. On Wednesday FBI and CIA agents raided Soundview. Officials say the FBI is building a case against Espada that could result in fraud and money laundering charges. OLEAN -- Two groups and seven individuals have been named recipients of the 2010 Good News Awards given by Greater Olean Area Chamber of Commerce (GOACC). The awards honor those who enrich the community by their work and activities and will be presented at the annual Good News Award Ceremony scheduled for Thursday, May 20, at the Premier Banquet Center, 2000 Constitution Avenue, in Olean. Tuna Crossroads will be open to traffic again next week, but as work progresses on the Route 219 Bradford Bypass Project short closures will be needed. The closures will be determined on a day-to-day basis. Traffic is to follow the posted detours as necessary. All other closures and restrictions remain the same. – PennDOT issues the following travel update for the Route 219/Bradford Bypass project in McKean County. This update is for the week of April 26. All work is weather and schedule dependent. Glenn O. Hawbaker, Inc. of State College is the contractor on this $28 million job. Dental hygienists Debra Jacob, RDH, BS, PHDHP, and Beth Pantuso, RDH, PHDHP, of Bradford Regional Medical Center’s (BRMC’s) McKean County Dental Center at 600 Chestnut Street Extension have both become certified as public health dental hygiene practitioners. Each earned their certification from the Pennsylvania State Board of Dentistry, said BRMC officials. Ms. Jacob has 28 years of experience and Ms. Pantuso has eight years of experience. A public health dental hygiene practitioner may perform dental hygiene services without the supervision of a dentist at schools, correctional facilities, healthcare facilities, personal care homes, domiciliary care facilities, adult daily living centers, federally qualified health centers, and public or private institutions. The dental center’s operating hours are 7:30 a.m. to 6 p.m. Monday through Friday. Call 362-8478 for appointments, or for more information about services go online at www.brmc.com. The 8th annual Bradford Area Town Wide Garage Sale will be held on Saturday, May 29, 2010 starting at 9 a.m. in Bradford area. Registration forms are available at the Main Street Mercantile, 96 Main Street, Bradford and the Bradford Area Chamber of Commerce office located at 121 Main Street. Individuals or organizations can register. There is a fee to participate. The deadline to register is Friday, May 14. Participants will receive a yard sale sign and their location will be included in the Bradford Area Town Wide Garage Sale map which will be distributed throughout the community the week prior to the event. All registrants will be responsible for their own set up at their location, as well as the placement and removal of yard signs. The event is sponsored by the Downtown Bradford Business District Authority. For more information contact the Main Street Manager’s office. The University of Pittsburgh at Bradford will host a seminar on safety in the oil and gas industry on April 30. The seminar will be held from 9 a.m. to 4 p.m. in Swarts Hall, Room 162 at Pitt-Bradford’s campus. Cost is $45 per person and includes lunch. This in-depth, one-day training seminar is for supervisors and safety directors. It will evaluate regulations and Occupational Safety and Health Administration industry standards by discussing topics such as site preparation, service rig attention, excavation, emergency management situations and hazard communications standards. Dr. HashimYousif, professor of physics at the University of Pittsburgh at Bradford, has received the 2010 Chairs’ Faculty Teaching Award for excellence in teaching. 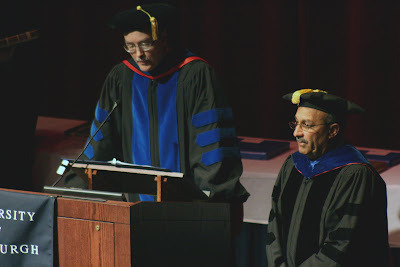 “Part of what makes Professor Yousif an effective teacher is his ability to present class material in an organized fashion, his dedication in evaluating his students’ work fairly, his desire to maintain an environment conducive to learning and his steadfast commitment to be accessible to his students,” said Dr. Steven Hardin, vice president and dean of academic affairs, at the 2010 Honors Convocation, where Yousif was recognized. Yousif was chosen for the award by the chairmen and chairwomen of Pitt-Bradford’s five academic divisions. Laura Warner and Chad Young! ALBANY - Senator Cathy Young (R,I,C – Olean) today renewed her call for a law making it a crime to knowingly spread the deadly HIV/AIDS virus to other unsuspecting people. Senator Young’s announcement comes in the wake of news that Nushawn Williams, the man who caused an AIDS epidemic in Chautauqua County in the 1990s, had completed his prison sentence and could be released to the public. Senator Young also called on New York State Attorney General Andrew Cuomo to rigorously fight to ensure that Williams remains confined in a psychiatric facility and is not let back out into the community. In 1970, a Senator from Wisconsin named Gaylord Nelson raised his voice and called on every American to take action on behalf of the environment. In the four decades since, millions of Americans have heeded that call and joined together to protect the planet we share. Since that first Earth Day 40 years ago, we have made immense progress – from the landmark legislation of the 1970s, the Clean Air and Clean Water Acts, to the conservation of America’s precious landscapes. And since taking office, my Administration has worked to build on this progress. We have made a historic investment in clean energy that will not only create the jobs of tomorrow, but will also lay the foundation for long-term economic growth. And we have also renewed our commitment to passing comprehensive energy and climate legislation that will safeguard our planet, spur innovation and allow us to compete and win in the 21st century economy. The Health Minute from Johns Hopkins is about treating prostate cancer. Foodie News is a report about how retail food prices will affect your wallet. The National Lampoon Sports Minute (Or So) covers Byron Leftwich, Tim Tebow, the Minnesota Twins, Gregg Popvich, and the NBA. Outdoors PA includes tips about spring gobbler season. On today’s LiveLine, our series on Sexual Assault Awareness Month continues. We’ll also have the latest stock report and the community calendar, plus the very latest local news and sports, state news from RadioPA, national and international news from CNN and the forecast from News 4 Meteorologist Mike Cejka. As always, you can listen live online at WESB.com. It was a disturbing couple of days for Bradford City Police. Officers responded to juvenile disturbances on Fairbanks Avenue and Jefferson Street, and another disturbance on Cole Avenue. They also received reports of fights on Bank Street and South Avenue, and a suspicious person on Park Street. Police also responded to a theft at a downtown store, criminal mischief on East Main Street, and animal complaints on North Center and Summer streets. They also assisted a couple of motorists and got three requests from people wanting to speak with an officer, according to the complaint report and request sheet faxed to WESB and The HERO by the police department. “This 40th Earth Day is an important milestone. The environmental movement that rose to national prominence in 1970 has resulted in cleaner air and water for all Americans and has saved millions of lives. “Today is also the 40th anniversary of the first Earth Week, which I am proud to say started in Philadelphia in 1970. Environmental regulation has come a long way since that time, when, as District Attorney of Philadelphia, I had to resort to an 1860 law to bring a public nuisance suit against a contractor who was spraying asbestos at a construction site, endangering workers and passers-by. The owners of a DuBois hotel are accused of failing to pay nearly $350,000 in Pennsylvania taxes. 47-year-old Charles Morais and 36-year-old Sunil Mir, both of Marietta Georgia, own The Clarion Hotel in DuBois, as well as The Holiday Inn Greentree in Pittsburgh, and Holiday Inns in York and Lancaster. The charges filed by the state attorney general’s office say that between 2008 and 2009 the pair failed to pay $310,849 in state sales tax and $37,020 that was withheld from their employees' paychecks. They are also accused of not paying more than $5,000 in personal income tax each. The public is invited to enjoy the “Dance & Culture” performances of the Seneca Nation Youth Dancers and the Damietta Center Student Clubs (ASIA, LASO and the STEP Team) on the St. Bonaventure University campus Monday. The program will be held from 6:30 to 8 p.m. in the Doyle Dining Room. Snacks and refreshments will be served. Harrisburg – Noting that individual acts of conservation can add up to one powerful remedy, Governor Ed Rendell today called on all Pennsylvanians to take the Earth Day 40 Challenge to mark the 40th anniversary of the special day meant to raise environmental awareness. “On April 22, 1970, 20 million Americans took to action across the nation on behalf of the environment. People everywhere made promises to help protect our world, and since that time, observing Earth Day has become an international event,” Governor Rendell said. “While we’ve made great progress in a single generation, on this 40th anniversary we are asking people to not only make a promise for the environment, but also act to deliver on that promise. Police in Chautauqua and Warren counties think they may have broken up a counterfeit money operation in Jamestown. Police agencies in both counties say they’ve received several complaints over the past 10 days about fake bills turning up at businesses. Their investigation led to a Jamestown house, where a raid turned up manufacturing equipment and some counterfeit bills. Police didn’t release the names of any people targeted in their investigation, but they did release serial numbers appearing on the counterfeit money. Anyone who has a bill with one of these serial numbers should contact local police or the Secret Service. 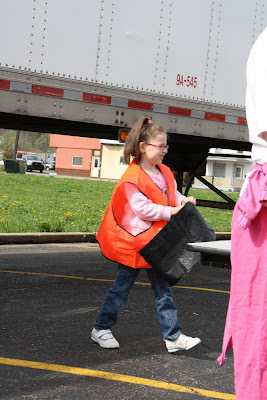 The Bradford Main Street Program is inviting area clubs, groups, residents and Main Street businesses to participate in the 2010 Main Street/Project Pride Clean-up event to be held Saturday, April 24 from 10 a.m. to 1 p.m.
“We are hoping for a good turn out of volunteers this year. It is great to see what people can do when working together,” said Main Street Manager, Anita Dolan. “Our event season begins in May, with events such as Lunch in the Square and the Memorial Day Parade, so now is a good time to get everything clean up,” Dolan added. In celebration of Earth Day (April 22), and in conjunction with The Great American Cleanup of Pennsylvania, Project Pride residents, and community volunteers will be cleaning up litter in the Elm Street Project Pride area. The event will run from 10 am until 1 pm on Saturday April 24th. This effort is to remove litter and trash from the Project Pride/Elm Street Neighborhood bordered by Bennett Street, Charlotte Avenue, School Street, and Barbour Street as well as Main Street. One of the men accused of breaking into Bradford Beverage in the early morning hours of March 20 had a day in court. 22-year-old Matthew Burgess of Harrisburg Run is charged with attempted burglary, criminal mischief, disorderly conduct and public drunkenness. District Judge Dom Cercone bound those charges to court. Charges of attempted theft by unlawful taking and criminal trespass were dismissed. The assistant district attorney withdrew a charge of conspiracy to commit burglary. Burgess and 19-year-old Matthew Bundy are accused of damaging the Bradford Beverage building on East Main Street in an attempt to commit theft. Burgess is free on $10,000 bail. A 23-year-old man accused of biting a 5-year-old because he said he wanted to discipline her has waived his preliminary hearing. Darryl Sherlock of South Kendall Avenue is accused of biting the girl’s leg on March 17 at her home. He’s charged with simple assault and endangering the welfare of a child. According to papers filed in District Judge Dom Cercone’s office, the girl told police Sherlock bit her and “it hurt.” Sherlock also told the girl’s aunt that he bit the girl because “she needed discipline, the child didn’t listen and the child acts like she runs the house,” the court papers say. Sherlock is jailed on $5,000 bail. HARRISBURG - House Republican Whip Mike Turzai (R-Allegheny) today unveiled legislation to privatize the wholesale and retail operations of the Pennsylvania Liquor Control Board (PLCB). This plan transitions Pennsylvania from a "control state," with the Commonwealth controlling both the wholesale and retail operations of the sale of wine and spirits, to a "franchise and license state," where the Commonwealth licenses persons to operate the wholesale and retail wine and spirits businesses. Bernie Picklo, a former science teacher at Bradford Area High School, has been honored as this year’s Distinguished Secondary Teacher by the University of Pittsburgh at Bradford. The award is presented annually to a teacher who is willing to work with and challenge students both inside and outside of the traditional classroom. Members of the university’s senior class nominated the candidates. 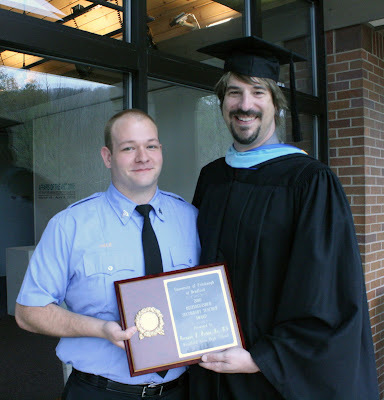 Although he is currently the academic technology integrator for Pitt-Bradford, Picklo was nominated by Stephen Hale, a criminal justice major from Lewis Run who had Picklo as an earth and space science teacher at BAHS during his freshman year. Hale credited Picklo with being an influence to turn around his own academic career. Longtime Bradford Owls basketball Coach Dave Fuhrman is calling it quits. Fuhrman informed his team and staff at a meeting this morning at Bradford High that he is stepping down. The Owls were 22-3 this past season winning the D9 league Title, District 9 AAA championship and a state playoff game too. Fuhrman coached the Owls for 20 seasons and sports a 340-171 record. Listen to Frank Williams' report, with comments from Fuhrman, here. Several people were harassed over the last couple of days, according to the Bradford City Police complaint report and request sheets faxed to WESB and The HERO. The harassment happened on East Main, West Washington and West Corydon streets, as well as a city school. Police also responded to a report of a suspicious person High Street, a disturbance on Bushnell Street, and criminal mischief on Oxford and West Corydon streets. Officers also looked into a possible Megan’s Law violation on Charlotte Avenue, a retail theft at a downtown store and a theft on Cornen Street. They also got a report of a water leak on Pine Street, and burning on Linwood Avenue. Police also got vehicle complaints from Congress and Edward streets and a report of a disabled vehicle at the intersection of East Main Street and Kendall Avenue. They also had several requests from people who wanted to speak with an officer.